Ok there might be something wrong with me because i dont beleive that i have created more than one wallpaper a month. so haveing 2 is a big surprise. i dont feel its complete. but i cant think of anything else to put in it. the scan is from the tsubasa manga. 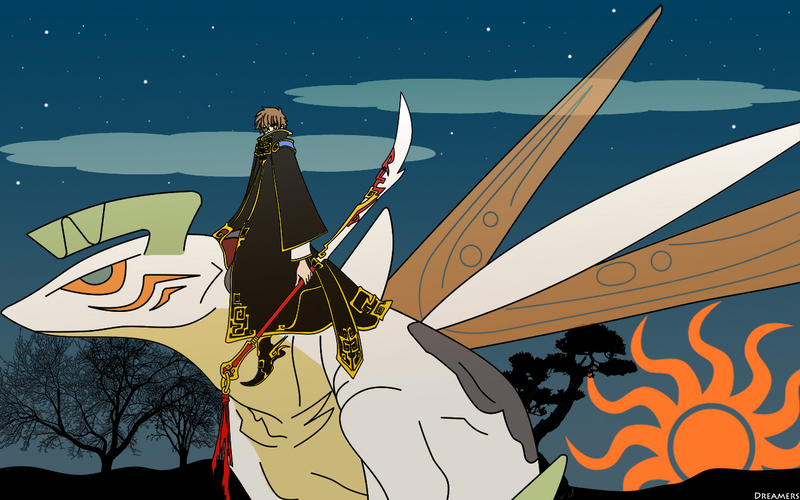 there one where syaoran is on the dragon, in the scan part of the blade was obscured by text, so i had to take a guess at what i thought would be there. also i love the breath of fire dragons so much i decided to place him on a aura dragon from breath of fire 4. i tried other dragons from the series but i couldnt find one that fit in there.